I’ve really embraced the whole pumpkin spice thing this year. I’ve made everything from pumpkin spice bread to pumpkin spice granola to pumpkin spice rice krispie treats since autumn began. And there’s no sign of stopping in sight. That is until the price of canned pumpkin goes back up. But for now, I will enjoy the number one flavor of the season just like everyone else. Today I bring you pumpkin crumb muffins. And I must admit, these are the best pumpkin muffins I’ve ever made. They’re moist, flavorful and taste just as good for dessert as they do for breakfast. I’ve made them several times in the last month or so, and each time I have to hide a couple just so my family doesn’t eat them all before I have a chance to have one. 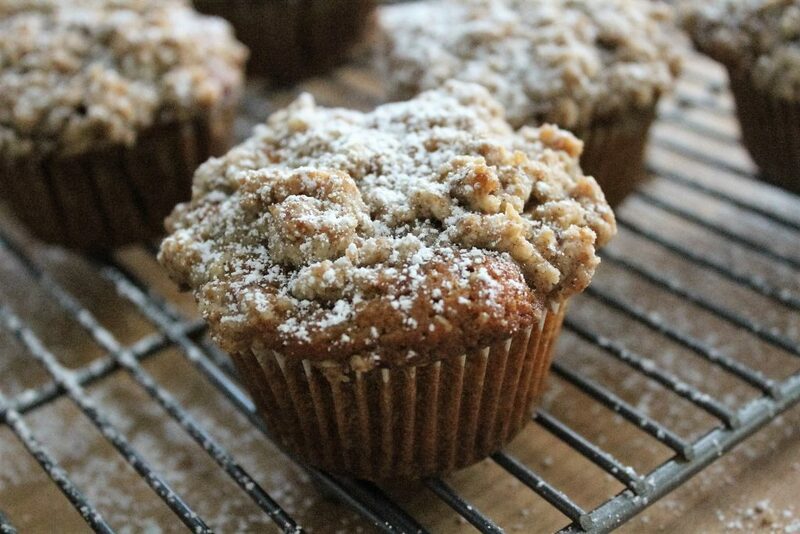 The crumb topping jazzes up the muffins and adds nice texture. 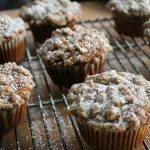 These muffins are super simple to make and the warm spice smells that float around the house while they bake always remind me of Thanksgiving. Preheat the oven to 400 degrees F. Line a 12-cup muffin pan with cupcake liners. Whisk the flour, pumpkin pie spice, sugar, baking powder, baking soda and salt in a large mixing bowl. In a separate bowl, whisk the pumpkin puree, milk, melted butter, eggs and vanilla in a separate bowl until combined. Make a well in the center of the flour mixture, and add the pumpkin mixture. Stir until just combined and there are no flour streaks. Scoop mixture into the prepared pan, filling the muffin cup about three-fourths full. To make the crumb topping, stir the flour, sugars, pumpkin pie spice and salt until combined. Add the melted butter and stir with a plastic spatula until large crumbs form. Divide crumb mixture evenly among the muffins. Place the pan in oven, and immediately reduce temperature to 350 degrees F. Bake until golden brown and a toothpick inserted into the center of one of the muffins comes out clean, 25 to 30 minutes. Cool the muffins in the pan on a wire rack for 10 minutes. Remove the muffins to the rack and cool completely. Dust the tops of the muffins with confectioners’ sugar before serving. 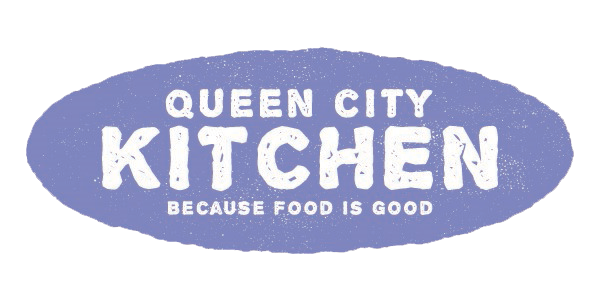 This entry was posted in Baked Goods, Breakfast, Dessert, Recipes, Snacks and tagged muffins, pumpkin muffins, pumpkin spice on November 6, 2016 by Andria Gaskins.